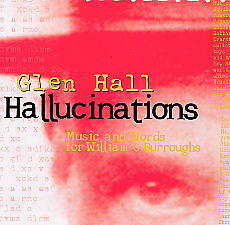 A collaborator of the late Gil Evans, Glen Hall does not release many CDs, but his every CD is a jewel. Hallucinations is a 'sonic film', a movie made of sound, inspired by two novels by William S. Burroughs: Nova Express and The Wild Boys. Thirteen musicians including Roswell Rudd take part in the project.